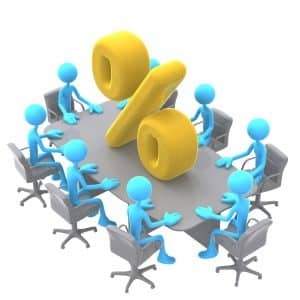 The Reserve Bank of Australia (RBA) has met today to decide upon the November monetary policy, and although The Melbourne Cup and RBA rate movements have been closely linked in recent years the board has decided to keep interest rates at a record low level of 1.5%. To many, the decision today involved weighing up continued weakness in inflation against recent strength in east coast property markets and Australian commodity export prices. “September quarter inflation was low on an underlying basis, but probably not low enough to trigger another cut just yet as it is in line with the RBA’s own expectations,” said AMP Capital chief economist Shane Oliver. The decision to hold interest rates at the all time low of 1.5% continues to be good news for mortgage holders, with the property market continuing to deliver strong returns across much of the country during the Spring season. In the past week, Sydney achieved a preliminary auction clearance rate of 84.4%, while Melbourne’s was 78.6%, which has kept the national auction clearance rate above 70%. Prices have been similarly impressive; surging in Sydney by 13.4% so far this year, while Melbourne has recorded an 11.8% increase. Prices in Brisbane and Adelaide also increased by 3.6% and 3.3% over the same period, meaning nationally, the index has risen by 9.1% year to date. Ultimately, sustained housing growth coupled with all time low interest rates continues the spate of good news for investors and home owners alike, affirming that housing is still a safe and solid investment. If you are looking to take advantage of favourable economic conditions, remember your mortgage broker is always available to help with any questions.